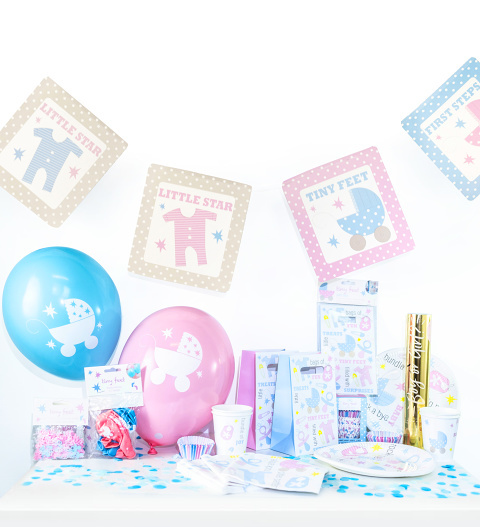 Whether you have been put in charge of planning a fun baby shower or you have taken it upon yourself, this shower gift includes everything you need. From cups and plates to cupcakes, confetti, and even a gender reveal cannon! When placing your order, you can select the gender from the drop-down menu. Remember, this is the first party to celebrate the new addition to the family and, while the baby will be none the wiser, it will become a cherished memory for his or her parents.